i’ve had a quick look at my referers today. they are mostly chock-full of referer-spam, so i don’t really look at them too often. but today, i noticed quite a bit of hits from a page on hattrik.org. because some of my friends are quite fanactic hattrickers i thought someone linked to me and wanted to check back. 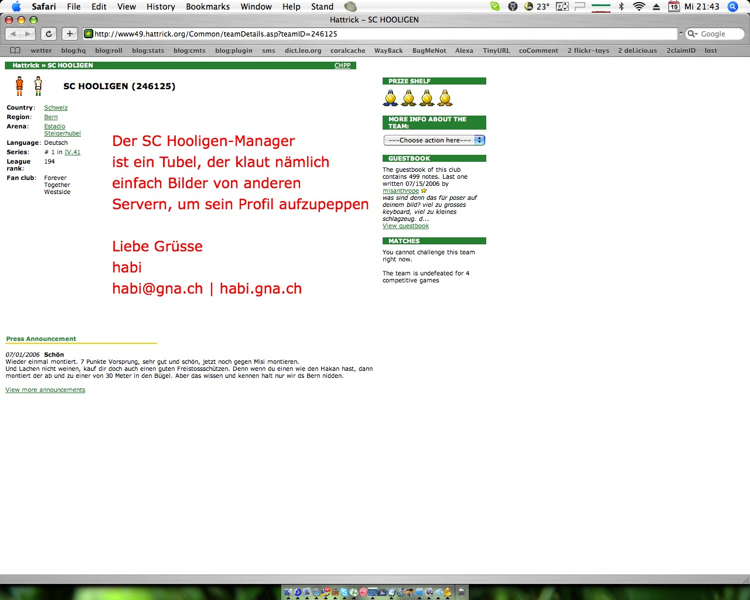 so i ended up on the site of the sc hooligen. 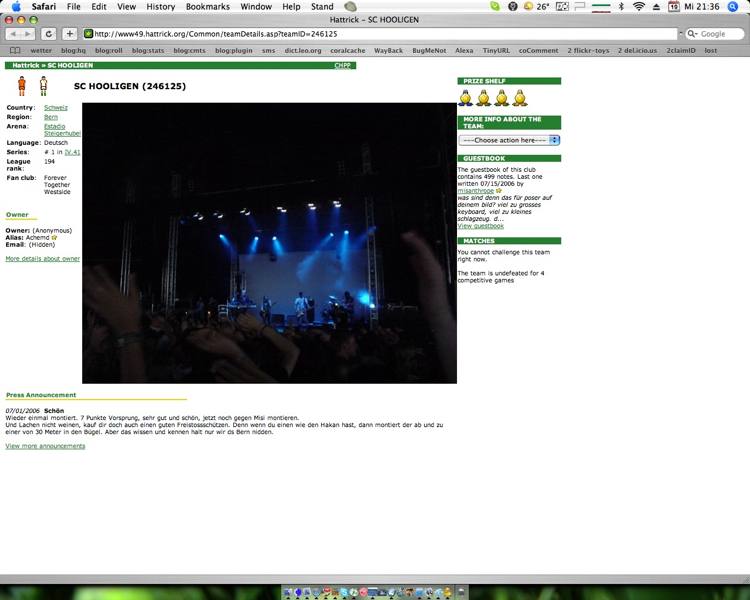 at first i couldn’t see a link to me, but a quick glance at the sourcecode revealed that the manager of said team hotlinked to an image i shot at the gurtenfestival 2004. i know that as soon as you release your images on the web it’s extremely hard to track abuse of them , but hotlinking to a file is definitely a no-go! so i thought, i’d do a little prank with the site, and replaced the image to something else. i wonder how long it stays like that. before on the left and after on the right. 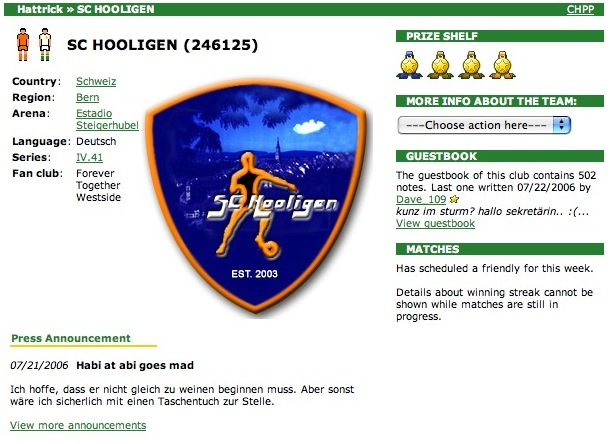 it says in german: the manager of this team is a jerk, ’cause he steals pictures from other servers to pimp his profile. update: everything is fine now, keep walking on, no need to stare.